Two books are being released today! Next Year in Havana by Chanel Cleeton and How to Stop Time by Matt Haig. Both books are written in dual timelines with a Then and Now approach. The dual timelines add depth to the plot and character development and I enjoyed this writing approach. This book is essentially a beautifully written love letter to Cuba. Marisol, a Cuban-American woman, travels to Havana to scatter her beloved grandmother’s ashes and begins the journey to truly understand her roots in the country of her grandmother’s birth while navigating a challenging political climate and a complicated romantic situation. The book is told in two timelines – Havana in 1958, and Miami in 2017 – essentially two stories in one. The story is laced with history, culture, and romance. 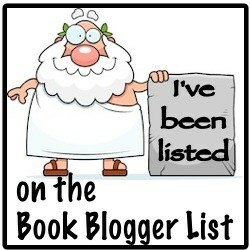 My full review will be published later this week when I have the honor of participating in the book’s blog tour. Tom has lived in London before, and returning to the city now is bittersweet for him because it holds many memories of love, laughter, friendship, heartache, pain, anguish, and grief. Happy Release Day to Next Year in Havana and How to Stop Time!